Hi Guys ! Iam telling you a story today ...She was suffering from anemia which means low hemoglobin counts. I took the advise of the doctor to take juice of 'kulekhara' leaves (a medicinal herb).....taking the juice for 1 month, her hemoglobin count increases rapidly....Isn't it a miracle !!! Kulekhara grows throughout India. Whole Plant, Seeds & Root of this plant has great medicinal values. With the associated side effects of modern medicine, traditional medicines are gaining importance and are now being studied to find the alternative drugs thats why research work on medicinal plants has intensified. 1)Its seeds used in loss of libido and in Oligospermia, treatment of oedema, urinary calculus, painful micturition etc. Seeds have overall nourishing effect and used in general debility and fatigue. In nervine debility, gout and rheumatoid arthritis, the seeds are used with great benefit. 2)Seeds also have been used in the treatment of several blood disorders and urinary problems. 3)Root is used in liver ailments and is effective in relieving flatulence, General weakness, Sexual disorders. 4)Petroleum ether extract of the roots exhibited antitumor activity in Ehrlich ascites carcinoma (EAC)- and sarcoma-180 (S-180)–bearing mice. The extract suppressed significantly the tumor fluid volume at the end of a 3 weeks experiment. This finding supports its traditional use in cancer and blood disorders. 5) Some of the important effects of leaves: Anticonvulsant; Anti-neoplastic; Hepato-protective; Antifungal; Antispasmodic; Respiratory stimulant, Anti-bacterial, Diuretic, Hypotensive, Vasodialtory. 6)Kulekhara leaf juice is one of the best medicine for Anemia.it rejuvenates all the blood cells in the body--Red blood cell (RBC) count, hemoglobin content, and white blood cell [WBC] count significantly increased to normal. For rejuvenating blood in anemia or Thalassemia disorders, women, children and men can take the juice of this leaf. No iron tonic or tablets are required if one takes this juice. 7)If you are suffering from low hemoglobin counts. Just take take juice of kule khara leaves for a month, hemoglobin count definitely increases to normal. 8) The leaf extract from Kulekhara is also used to cure diarrhoea, inflammation, pain abdominal disorders. 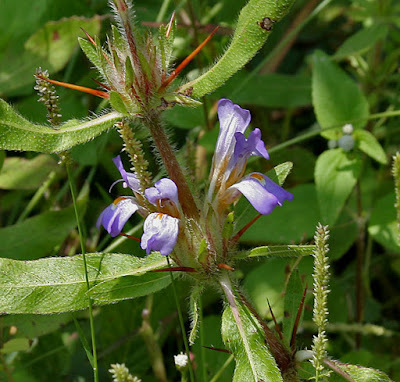 9)The parts of this plant are widely used for the treatment of anasaraca, diseases of the urinogenital tract, dropsy from chronic Bright's disease, hyperdipsia, vesical calculi, flatulence, diarrhea, dysentery, leukorrhea, gonorrhea, asthma, blood diseases, gastric diseases, inflammation, cancer, rheumatism, painful micturition, menorrhagea. 1)Aerial parts contain alkaloids,terpenoids, flavonoids, phytosterol, essential oil, mucilage, triterpene alcohol, lupeol, stigmasterol and hydrocarbons. 2)Seeds contain fixed oil, enzymes and sterol. 4)Roots contain an essential oil. 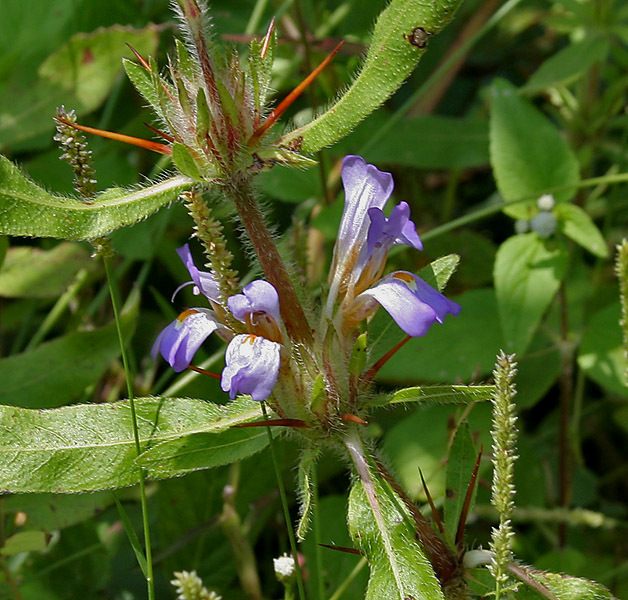 This Indian ayurvedic plant has been widely used for increasing hemoglobin in blood. But you will not take 100ml/day extract when Hb% is normal. Please take doctor’s advice before taking the medicine or the kule khara leaves. For anemia, you must have a doctors review to treat other issues. Kulekhara may good for the common type of anemia only but you may need Folic Acid, Vit. B12.